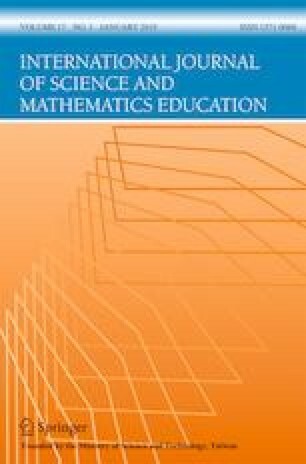 This study aimed to investigate the role of students’ classroom learning environment perceptions and teacher effectiveness in 7th grade students’ self-regulation in science classes. Students’ self-regulation was examined in terms of self-efficacy, achievement goals, and metacognitive strategy use which constitute important components of self-regulation. The relations of students’ perceived classroom learning environment (i.e. student cohesiveness, teacher support, involvement, investigation, task orientation, cooperation, and equity) and teacher effectiveness (i.e. teachers' beliefs, characteristics, and occupational well-being) to students’ self-regulation were tested by conducting separate HLM analyses considering the nested structure of the data. To select a nationally representative sample, two-stage random sampling approach was used. Data were collected from 372 science teachers and their 8198 seventh grade students in Turkey. Results indicated that perceived classroom learning environment variables were good predictors of students’ self-regulation in learning science. Among the learning environment variables, the task orientation appeared to be the most powerful predictor. Additionally, teacher variables were found to have direct relations with students’ self-regulation and moderate the relationships between learning environment and self-regulation variables. This study is a part of the first author’s dissertation. Thanks to Turkish Ministry of Education, Education Research and Development Department for their supports to this study. Fraser, B. J., McRobbie, C. J., & Fisher, D. L. (1996). Development, validation and use of personal and class forms of a new classroom environment questionnaire. Proceedings Western Australian Institute for Educational Research Forum. Retrieved on February 16, 2018 from http://www.waier.org.au/forums/1996/fraser.html.